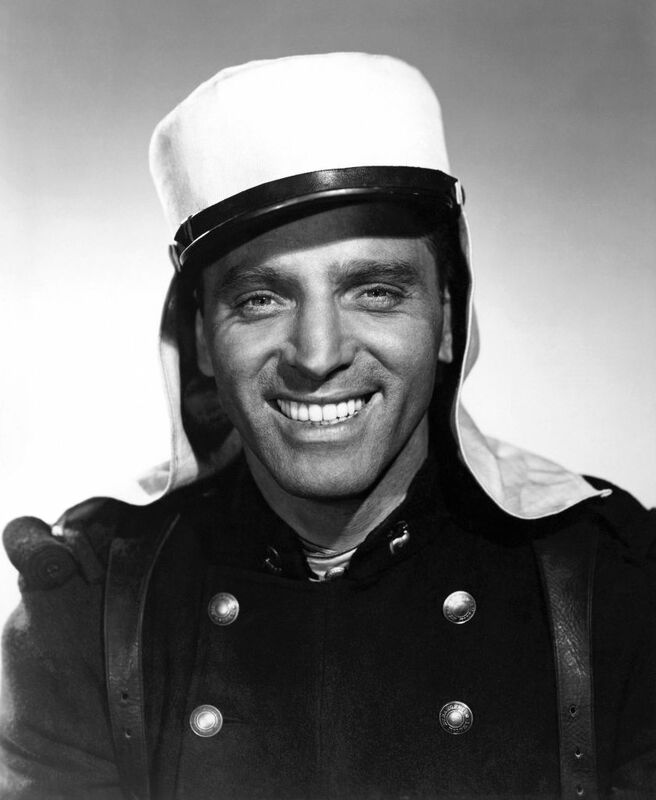 Burt Lancaster (1913-1994), one of the most popular film stars of all times, never wanted to be an actor. 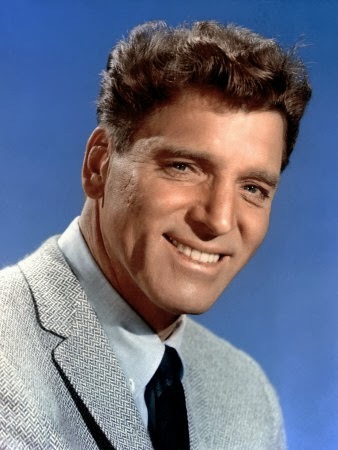 Rugged, athletic, and handsome, Burt Lancaster enjoyed phenomenal success from his first film, The Killers, to his last, Field of Dreams — over a career spanning more than four decades. Boasting an impressively wide range, he delivered thoughtful, sensitive performances across a spectrum of genres: from film noir to Westerns to melodrama, he commanded the screen with a presence and power matched by only a handful of stars. Lancaster was born November 2, 1913, in New York City. As a child, he exhibited considerable athletic and acrobatic prowess, and at the age of 17 joined a circus troupe, forming a duo with the diminutive performer Nick Cravat (later to frequently serve as his onscreen sidekick). He eventually joined the army, and, after acting and dancing in a number of armed forces revues, he decided to pursue a dramatic career. Upon hiring an agent, Harold Hecht, Lancaster made his Broadway debut in A Sound of Hunting, a role which led to a contract with Paramount. Because the release of his first picture, Desert Fury, was delayed, he initially came to the attention of audiences in 1946’s The Killers, a certified classic of film noir. It remained the genre of choice in several of his subsequent projects, including 1947’s Brute Force and I Walk Alone the following year. After starring as Barbara Stanwyck’s cheating husband in Sorry, Wrong Number, Lancaster and his manager formed their own production company, Hecht-Lancaster, the first notable star-owned venture of its kind; more were to follow, and they contributed significantly to the ultimate downfall of the old studio system. Its formation was a result of Lancaster’s conscious effort to avoid “beefcake” roles, instead seeking projects which spotlighted his versatility as a performer. While the company’s first effort, the war melodrama Kiss the Blood Off My Hands, was not a success, they were nonetheless able to secure enough financial backing to break off completely from the mainstream Hollywood system. Still, Lancaster also continued to appear in studio productions. In 1949, he reunited with The Killers director Robert Siodmak at Universal for another excellent noir, Criss Cross, followed by Rope of Sand. 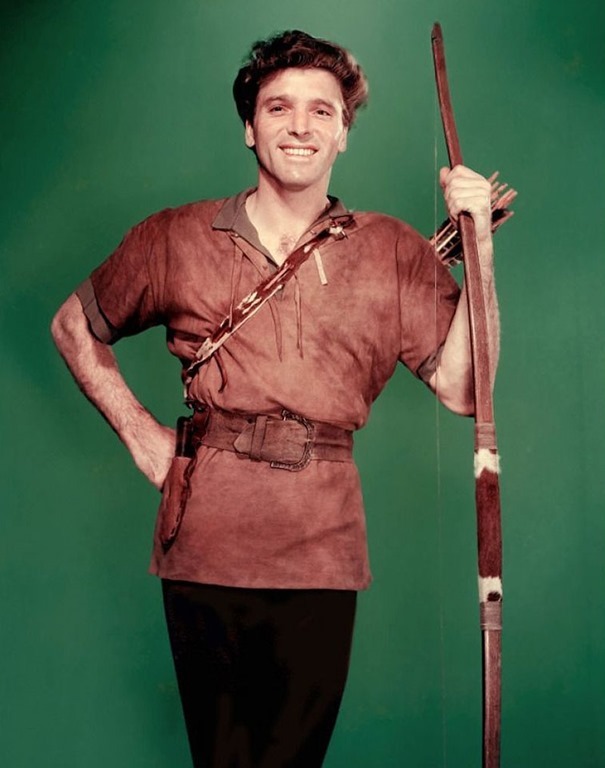 He also signed a non-exclusive contract with Warner Bros., where he and Hecht produced 1950’s The Flame and the Arrow, a swashbuckler which was his first major box-office success. After producing Ten Tall Men with Hecht, Lancaster starred in the MGM Western Vengeance Valley, followed by the biopic Jim Thorpe — All American. With Siodmak again directing, he next headlined the 1952 adventure spoof The Crimson Pirate, followed by Daniel Mann’s Come Back, Little Sheba opposite Oscar-winner Shirley Booth. A minor effort, South Sea Woman, followed in 1953 before Lancaster starred in the Fred Zinnemann classic From Here to Eternity, earning him a Best Actor Oscar nomination for his performance and, in his beachside rendezvous with co-star Deborah Kerr, creating one of the most indelible images in film history. 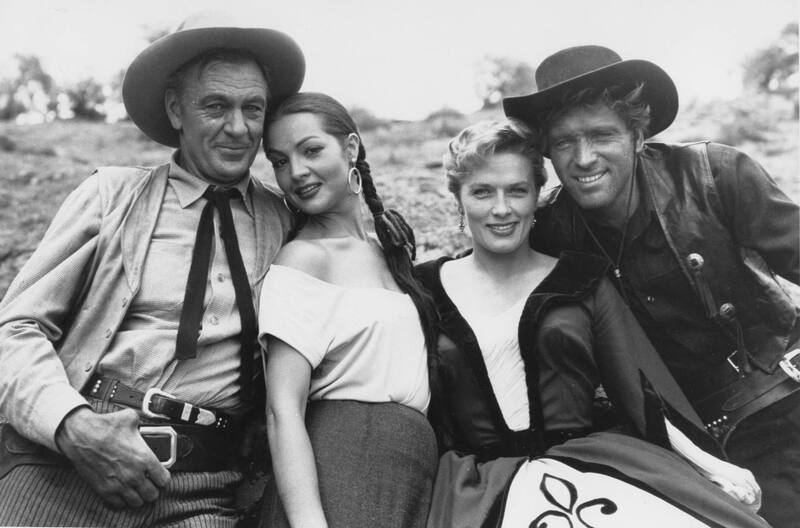 Another swashbuckler, His Majesty O’Keefe, followed, and under director Robert Aldrich the actor headlined a pair of Westerns, Apache and Vera Cruz. Finally, in 1955, Lancaster realized a long-held dream and helmed his own film, The Kentuckian; reviews were negative, however, and he did not return to the director’s chair for another two decades. Again working with Mann, Lancaster co-starred with another Oscar winner, Anna Magnani, in 1955’s The Rose Tattoo. Opposite Tony Curtis, he appeared in the 1956 hit Trapeze, and, with Katherine Hepburn, headlined The Rainmaker later that same year. Gunfight at the O.K. Corral, a blockbuster featuring Lancaster as Wyatt Earp, followed, as did the acclaimed The Sweet Smell of Success. With Clark Gable, Lancaster starred in 1958’s Run Silent, Run Deep, followed by Separate Tables. 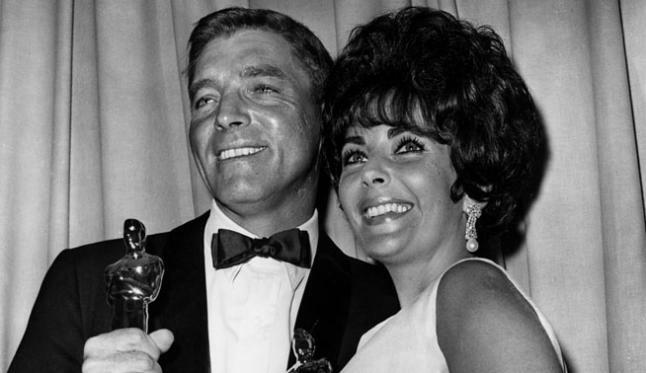 For 1960’s Elmer Gantry, he won an Academy Award for his superb portrayal of the title character, a disreputable evangelist, and a year later co-starred in Judgment at Nuremberg. Under John Frankenheimer, Lancaster next portrayed The Birdman of Alcatraz, earning Best Actor honors at the Venice Film Festival for his sympathetic turn as prisoner Robert Stroud, an expert in bird disease. For John Cassavetes, he starred in 1963’s A Child Is Waiting, but the picture was the victim of studio interference and poor distribution. Around the same time, Italian filmmaker Luchino Visconti was trying to secure financing for his planned historical epic Il Gattopardo (aka The Leopard), and needed to cast an international superstar in the lead role; Lancaster actively campaigned for the part, and delivered one of the strongest performances of his career. Released in 1963, it was a massive success everywhere but in the U.S., where it was brutally edited prior to release. After two hit movies with Frankenheimer, the 1964 political thriller Seven Days in May and the 1965 war drama The Train, Lancaster starred in another Western, The Hallelujah Trail, followed by the 1966 smash The Professionals. A rare series of flops — The Swimmer, Castle Keep, and The Gypsy Moths — rounded out the decade, but by 1970 he was back at the top of the box office with Airport. Still, Lancaster’s star was clearly dimming, and he next appeared in a pair of low-budget Westerns, Lawman and Valdez Is Coming. After an underwhelming reunion with Aldrich, 1972’s Ulzana’s Raid, he attempted to take matters into his own hands, writing and directing 1974’s The Midnight Man in collaboration with Roland Kibbee, but it failed to attract much attention, either. For Visconti, Lancaster next starred in 1975’s Gruppo di Famiglia in un Interno. Remaining in Europe, he also appeared in Bernardo Bertollucci’s epic 1900. Neither resuscitated his career, nor did Robert Altman’s much-panned Buffalo Bill and the Indians, or Sitting Bull’s History Lesson. Lancaster languished in a number of television projects before appearing in 1978’s Go Tell the Spartans, which, despite critical acclaim, failed to catch on. In 1980, however, he delivered a stunning turn as an aging gangster in Louis Malle’s excellent Atlantic City, a performance which earned him Best Actor honors from the New York critics as well as another Oscar nomination. Also highly acclaimed was his supporting role in the 1983 Bill Forsyth gem Local Hero. Heart trouble sidelined him for all of 1984, but soon Lancaster was back at full steam, teaming one last time with Kirk Douglas for 1986’s Tough Guys. Several more TV projects followed before he returned to feature films with 1988’s little-seen Rocket Gibraltar and the 1989 blockbuster Field of Dreams. In 1991, Lancaster made his final appearance in the telefilm Separate But Equal. He died October 20, 1994. Pearl S. Buck tres poemas cortos. Poesías escogidas en inglés. Traducción al español. Nice tribute to the career and memory of Burt. Always one of my all time favorites. Remarkable man and an incredible list of movies to his name.